The FSO Trade Copier Service is not part of the FSO Harmonic Scanner Subscription. Do you want to have my personal Forex trades executed in your account and gain up to 200pips per week? Are you satisfied with my signals posted in the Telegram Channel? You have missed a lot of pips since your schedule won’t allow to follow all my signals? Now I will give you the opportunity to get my personal FX trades copied into your broker account without any delay. What is a Trade Copier? 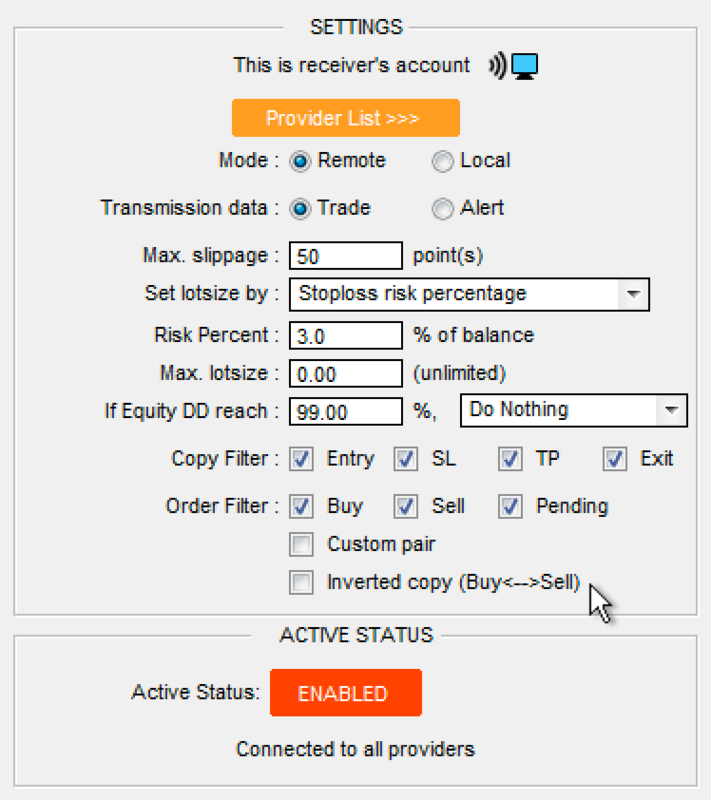 The main purpose of the FSO Trade Copier is to copy my very own trades from my personal MT4 trading station to a number of slave MT4 (yours) around the world via internet. It is advisable to run the slave account (yours) on a VPS (start a 7 Day Trial here) to make sure you won’t miss any of my trades. There is no fixed time, session or schedule when I am going to execute my orders. I trade market maker patterns which will appear any time, the dealer won’t care about schedules. Dennis, can you manage (PAMM) my Forex account/funds? But I can assure you, IF you go with my personal money management, your draw down wont be higher than max. 20%. 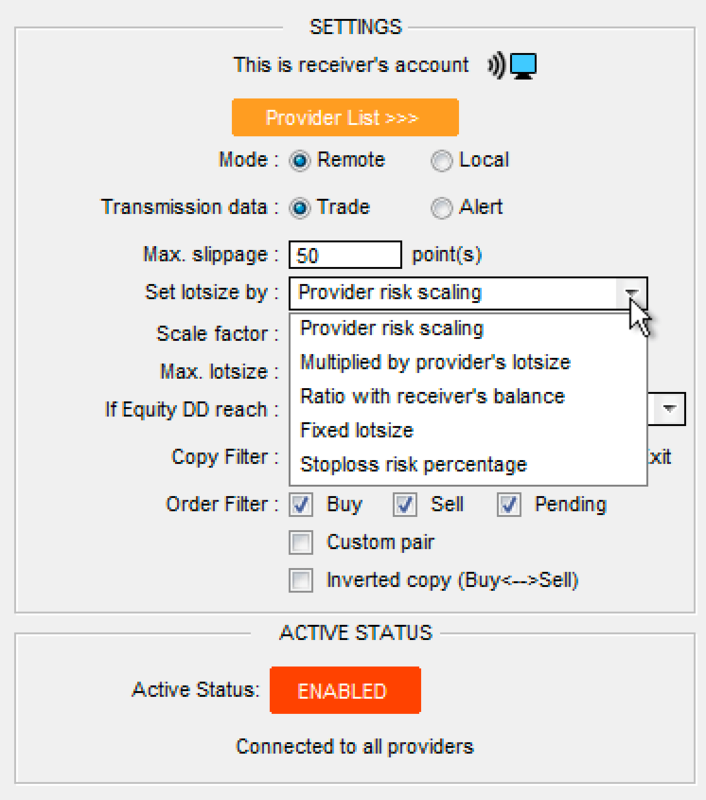 Simply use “providers risk scaling” factor 1 and you are pretty safe since my personal money management will be copied into your account. How many pips per month? How do you trade, Dennis? My personal trading style is simple. I follow the so called market maker patterns. They can appear any time, there is no favorite trading session. I mostly trade big swings with heavy lots on 4Hr and daily time frames. Expect an average of 4-5 trades a week with a result of 100 – 200pips per week. When I am on travel or holidays, I don’t trade. If I go on longer holidays (2-3 weeks) I will announce this my subscribers. I am not a robot, I don’t trade around a clock. Only morons trading like that. Dennis, do you support any currency pair prefix / suffix? The FSO Trade Copier will work with every broker on MT4. Yes, the FSO Trade Copier supports prefix and suffix, for example EURUSDfx, iEURUSDecn etc. With sign-up I will provide you a very easy to use (setup and configuration are done in a few clicks) software and a PDF guide. If you need help to setup your FSO Trade Copier or you want me to do this for you in general, then please let me know by replying the confirmation email I will send you after purchase. I do the setup of the FSO Trade Copier in less than 5min via Team Viewer. The free tool Team Viewer solves issues remotely. Please download here (click) to prepare our remote session. How to install the FSO Trade Copier and what money management should I use. 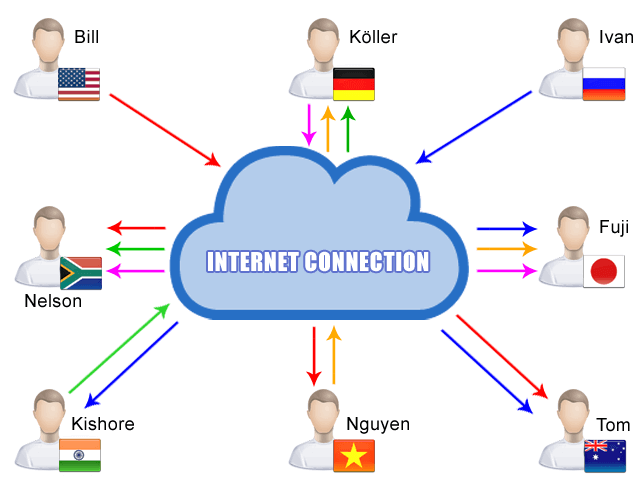 Receive my trade around the globe via internet. Flexible Money Management. You have full control. Upon signing up with the FSO Trade Copier Service you acknowledge the Risk Warning Waiver & Cancellation/Refund Policy. Get your 7 Days Trial, afterwards VPS start from only $4.99 per month. With a VPS you never will miss any of my trades. 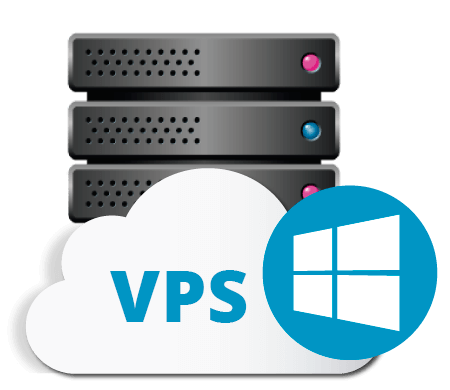 Get your Windows VPS here!